Afterwards, you’ll want to hire someone to transcribe the audio for you so that you can be putting your time and energy into the tasks where you are actually skilled. 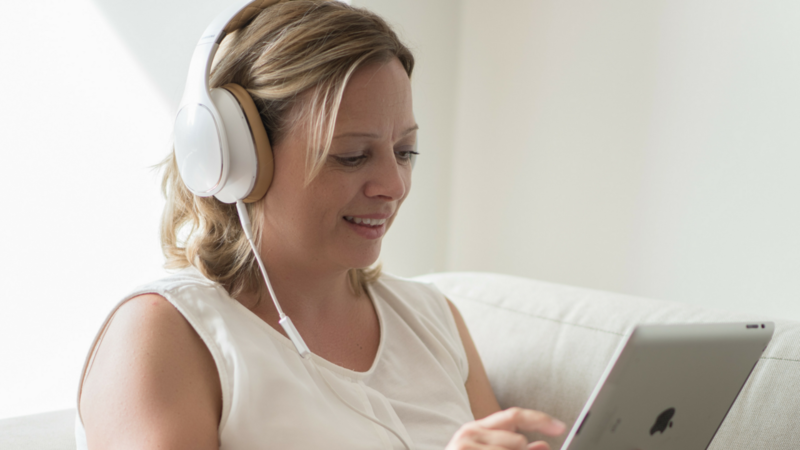 The basis of these audio exercises is not for you to waste time typing, but rather for you to get comfortable with speaking your ideas, a skill that can lead to creating future video or podcast material. Pick one simple concept you’ve used in response to a client’s problem and share how this solved the issue. Was it when the client needed to attract more customers, to find a supplier, or perhaps when the client was unsure how to position themselves? Show us (your audience) that you have the answers. Tell your brand’s story. Give yourself five minutes to elaborate, non-stop. Tell of how you got the idea, how it all came to be, and what your aim is. When you’re done, hit playback and listen carefully to the audio, ideally transcribing. Now, summarize your story in just five sentences. This is going to help you keep a clear and concise presentation ready for those causal bump-ins with potential clients and contributors. Give a sales presentation for a competitor’s product. This will make you examine what they are doing, whether it’s right, wrong or just different from yours. What are the product’s highlights? What does it say about the brand? Does it actually compete with your product in terms of potentially attracting the same clients? Think about the future. Give yourself five minutes to describe where you’d like to see your company (and yourself) at this time next year. Allow this to be a free-flowing process, which is to say allow yourself to really reach into all the nooks and crannies. Whatever goal you set, try and double it and talk about what it would take to achieve it. Give a little. Think back to when you were just starting (even if that was only last week!). What have you learned so far? What makes you say “If only I knew then what I know now…”? Come up with 10 pieces of advice for someone entering a similar business to yours. You may notice that you have some lingering questions yourself at this stage of your career. And now for the hardest part: Listen to the recording and try not to cringe at the sound of your own voice. Just kidding. The idea is, you “write” to YOU. This exercise helps you overcome the fear of writing as well as the fear of speaking out loud, a tool that turns out to be very useful in terms of developing your business. So go ahead and listen to your recordings, transcribe all, some or even none of it (hiring someone will be so worth it!). Afterwards, you may practice again and make some edits. Who knows, you may even use some of this audio for that future self-published book of yours!